The timing of leaf senescence is of increasing interest to climate change biologists, as leaf senescence marks the end of the growing season and the onset of winter dormancy. Most biologists monitor leaf senescence with somewhat subjective measures of leaf color change and drop. In the Primack Lab, we use a combination of leaf color change and drop to assess the date on which at least 50% of the leaves on an individual are no longer photosynthetically active. Last autumn, we became interested in empirically testing our methods of observation for gauging leaf senescence dates at the Arnold Arboretum. The subjective color categorization of Viburnum carlesii leaves, with the atLEAF (left) and SPAD-502 (right). Predominantly used in agriculture, handheld chlorophyll meters are one way to empirically measure relative chlorophyll content and, by proxy, photosynthetic activity. The most widely used chlorophyll meter on the market, the Minolta SPAD-502 costs about $2600.00. In constrast, the atLEAF is a relatively new chlorophyll meter which can be purchased for one tenth of the cost. Last autumn, the Primack Lab from Boston University and Laura Garrison from Brown University teamed up to compare the performance of the SPAD-502, the atLEAF, and our own subjective color categorization on leaves at various stages of senescence from the Viburnum and maple collections at the Arnold Arboretum. 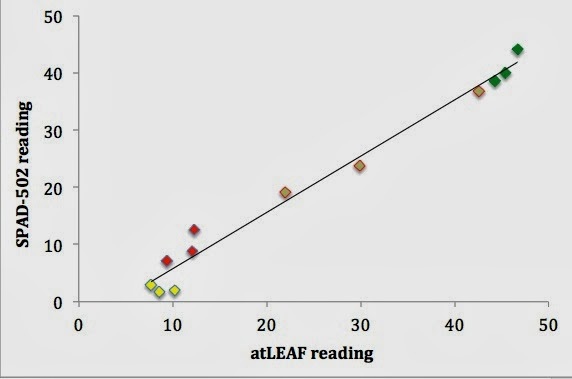 We found that the relative chlorophyll readings from the SPAD-502 and atLEAF meters were highly correlated both to one another and to chlorophyll content determined with spectrophotometry. 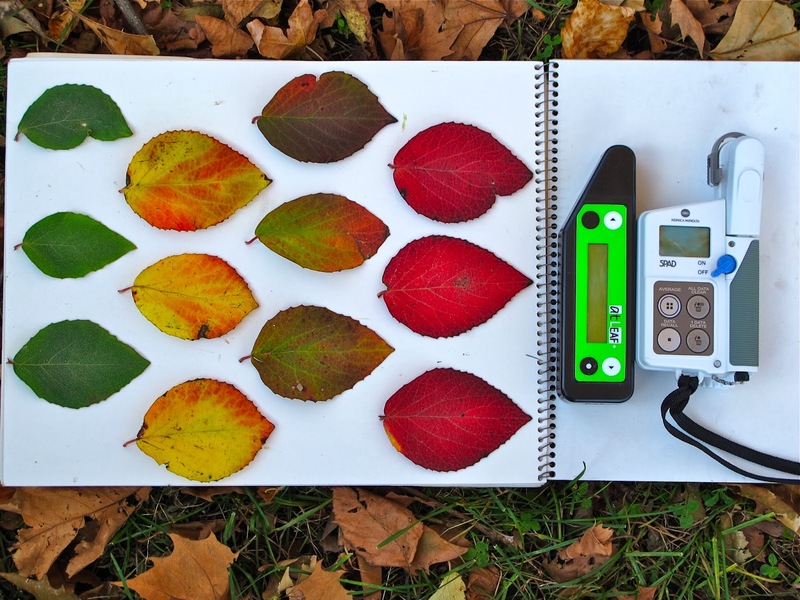 We also found that the relative chlorophyll values from each meter supported our subjective color categorization, with the exception of red leaves which were often difficult to predict. There is a very strong correlation between atLEAF and SPAD-502 chlorophyll readings for Viburnum carlesii leaves. The point colors reflect the color of the leaf measured: green, reddish green, red, and reddish yellow. R2=0.98. In too many developing nations, students struggle to read English-language textbooks that typically don’t even include examples from their region. 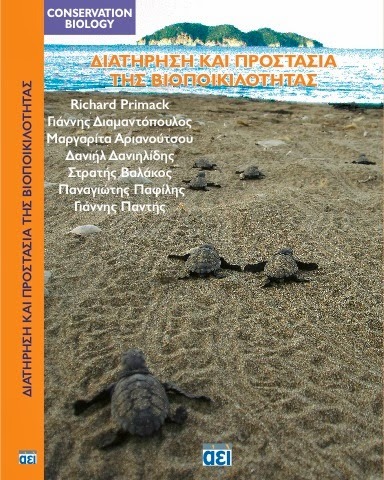 For 18 years, I have been inviting scientists to be co-authors of foreign-language editions of my textbooks “Essentials of Conservation Biology” and “A Primer of Conservation Biology.” My co-authors translate the English text into their own language and insert local examples and photos to make it more relevant to their students, as described in a recent article in BioScience. For example, the Indonesian edition features tropical deforestation and orangutan conservation. So far, 29 translations have appeared in 18 languages with a dozen more in production and four being planned. Some editions cover countries or regions with large populations, such as China, South Asia, the Arabic-speaking world, and Latin America, while others cover less populous countries, such as Estonia, Nepal, Greece, and Mongolia. Many of these have been widely adapted for teaching university courses. An unexpected benefit of these translated textbooks is that I have incorporated some of the best country-specific case studies back into the English-language versions, enriching their global perspective. 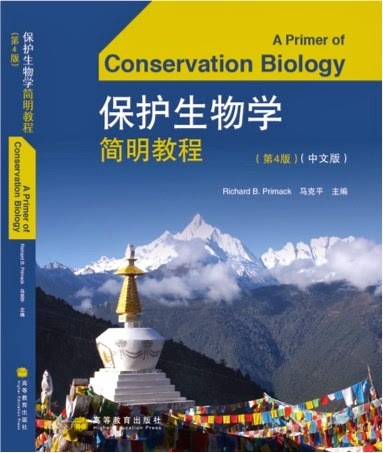 This textbook approach would be worth extending to related disciplines, including ecology, environmental science, wildlife biology, forestry, and agriculture, and even perhaps geography, medicine, and economics.